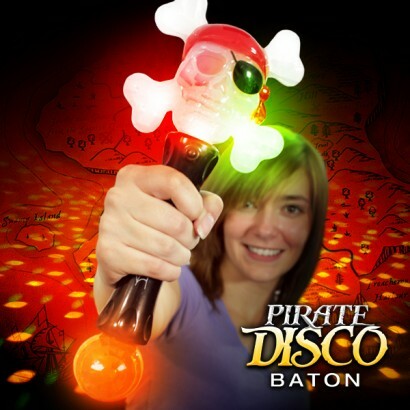 Aaarr! 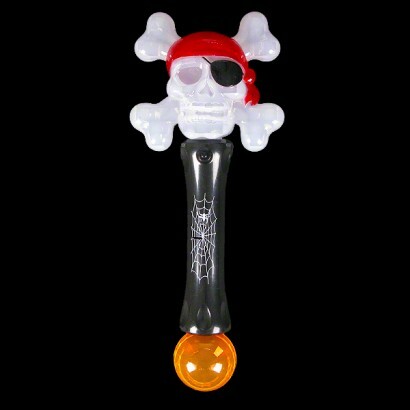 The skull and crossbones as never seen before! 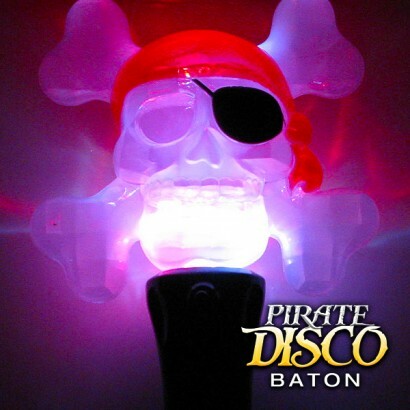 Packed full of colour morphing LEDs this impressive wand has a jolly roger skull and crossbones on top and a disco ball on the base that projects light onto surrounding surfaces! 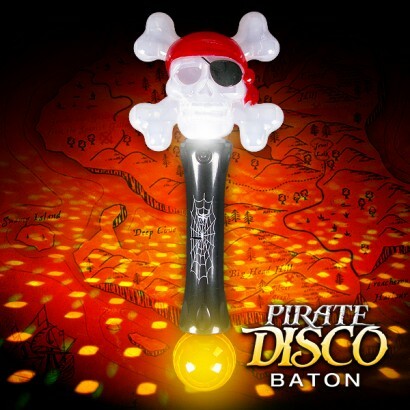 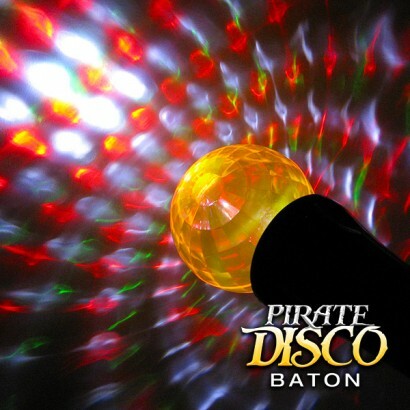 A very cool pirate themed baton with super bright flashing lights it's almost a portable pirate disco!